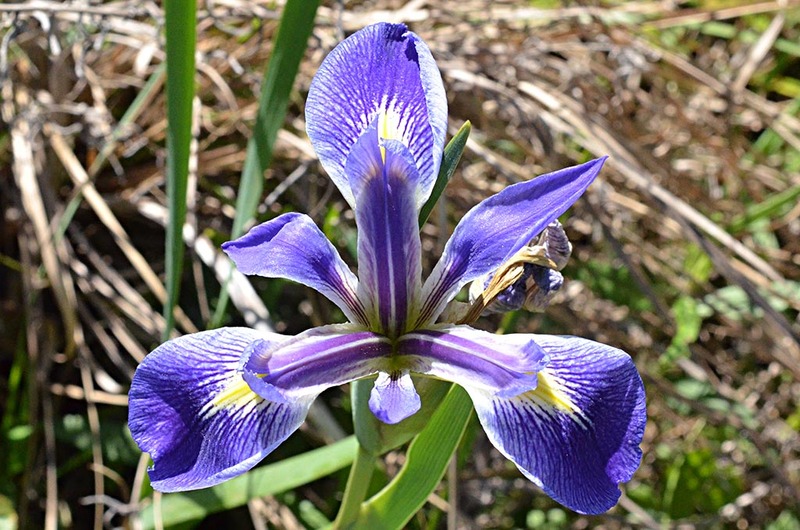 We hoped to find the iris in full bloom, and we did! 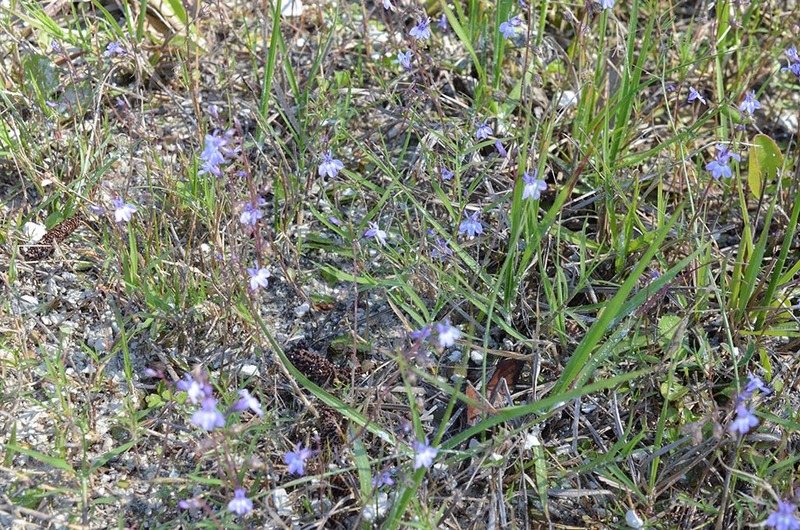 Lots of them! 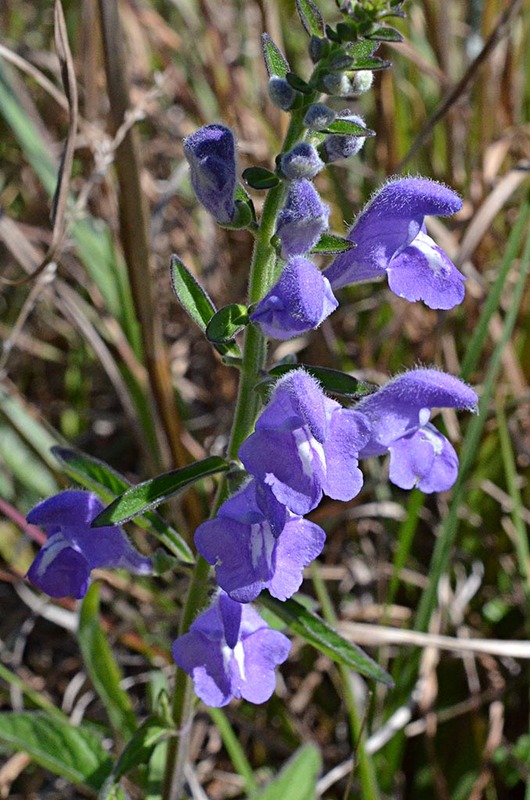 Along Bee Head Rd and Power Line Rd. 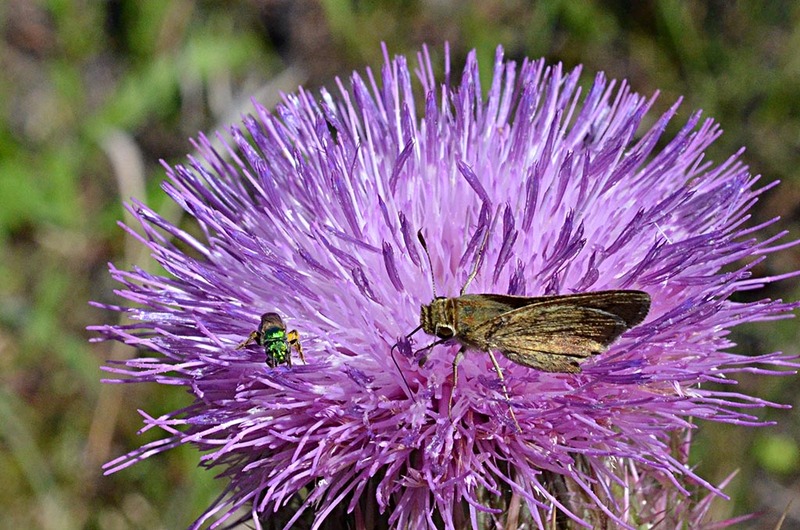 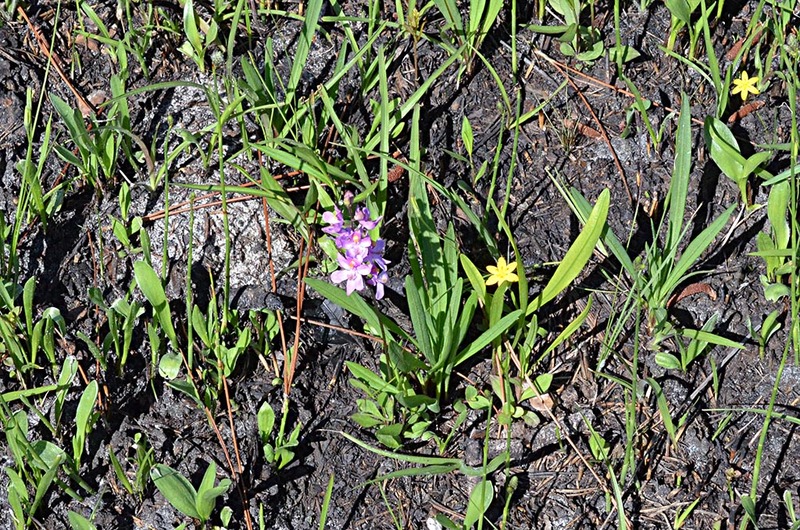 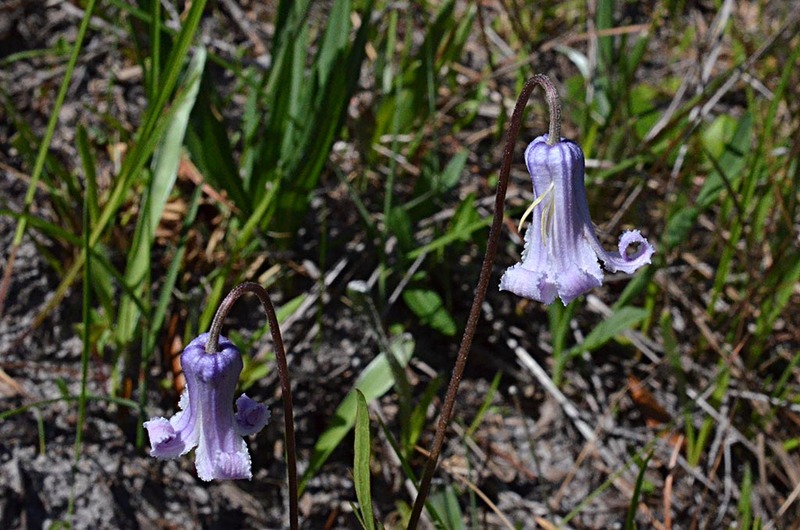 There were two surprise finds: grasspink (Calopogon multiflorus) and pine-hyacinth (Clematis baldwinii). 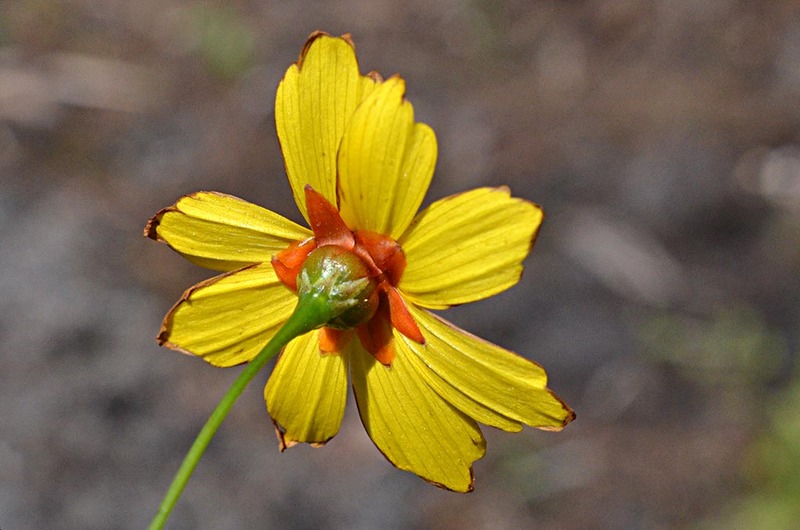 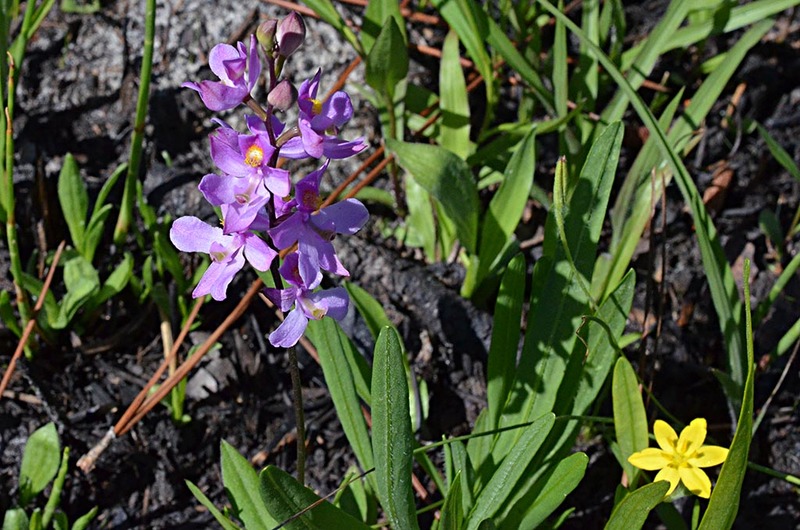 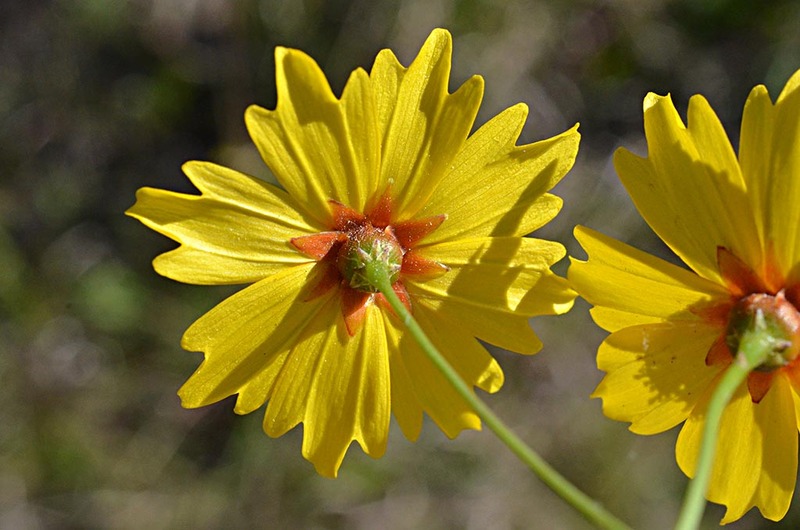 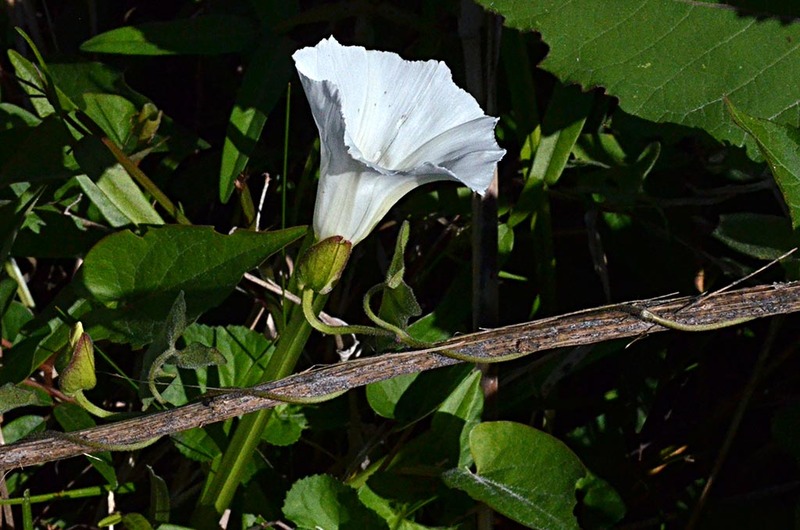 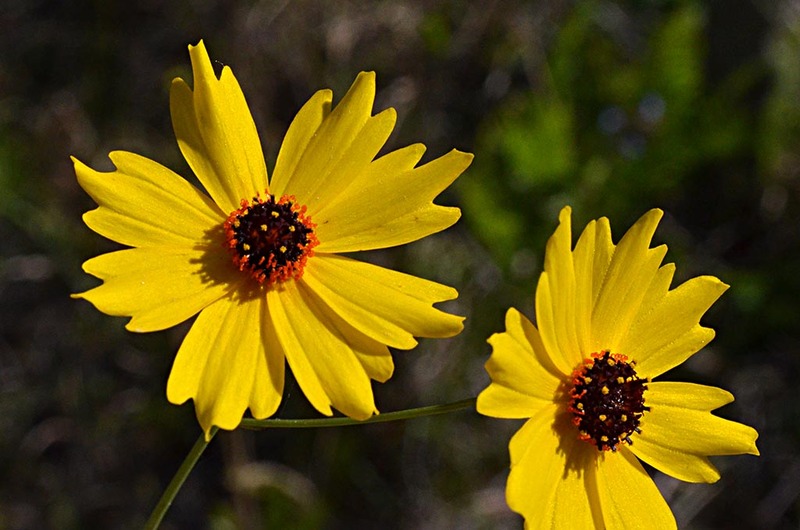 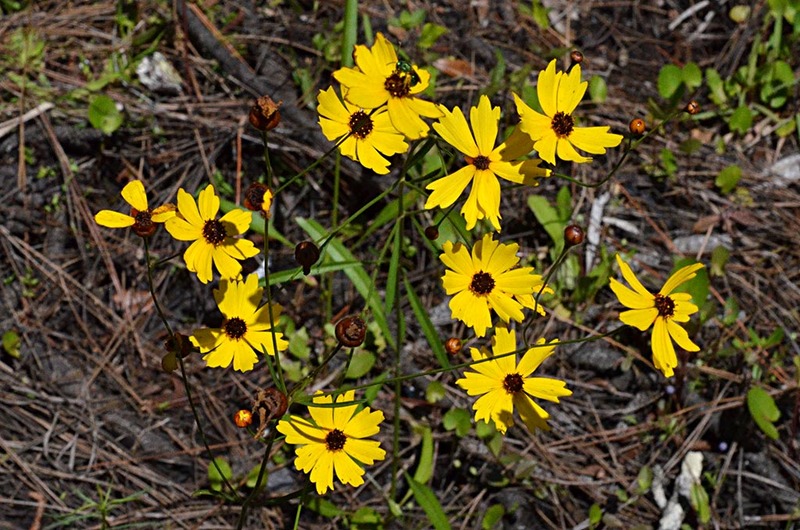 Unless otherwise noted, all wildflowers in this posting are Florida natives. 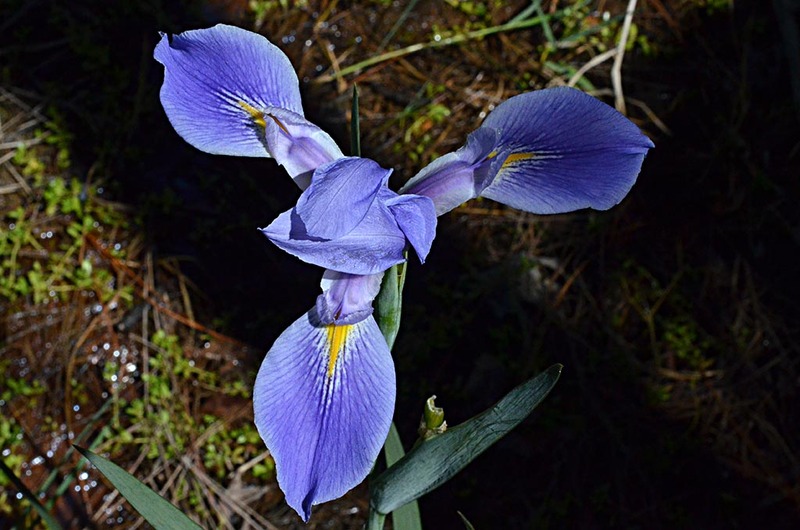 Roger Hammer informed me (April 23, 2016) that the iris shown here is Iris savannarum. 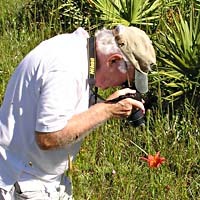 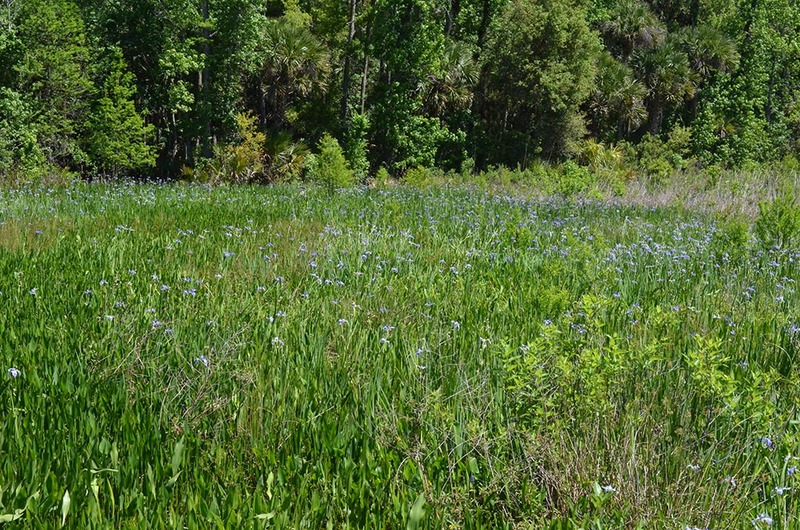 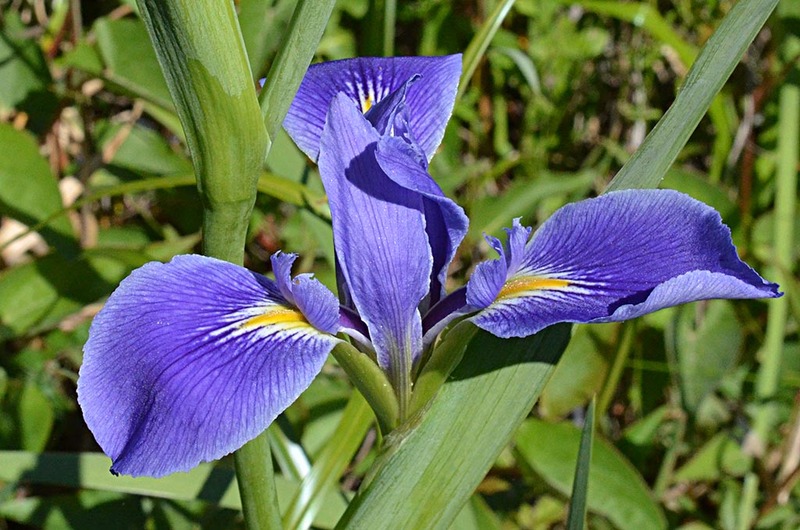 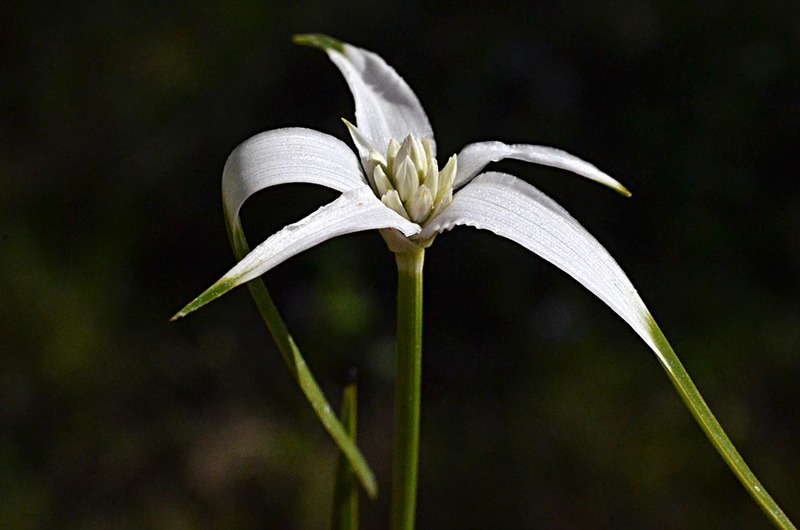 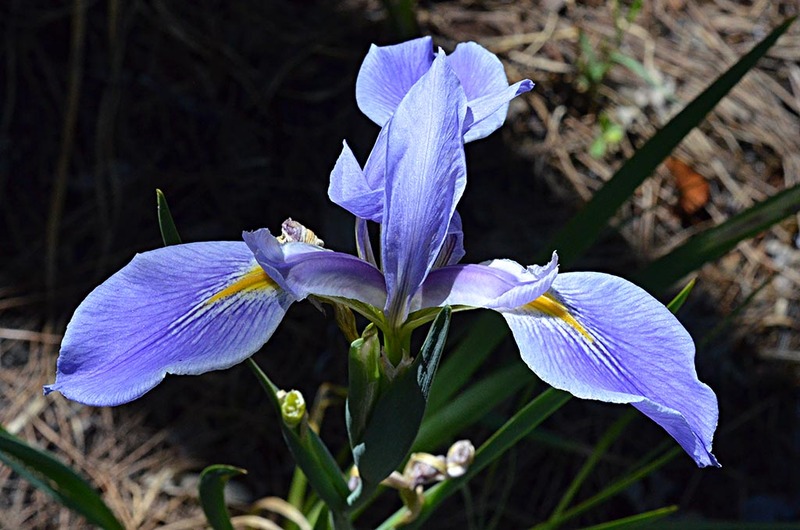 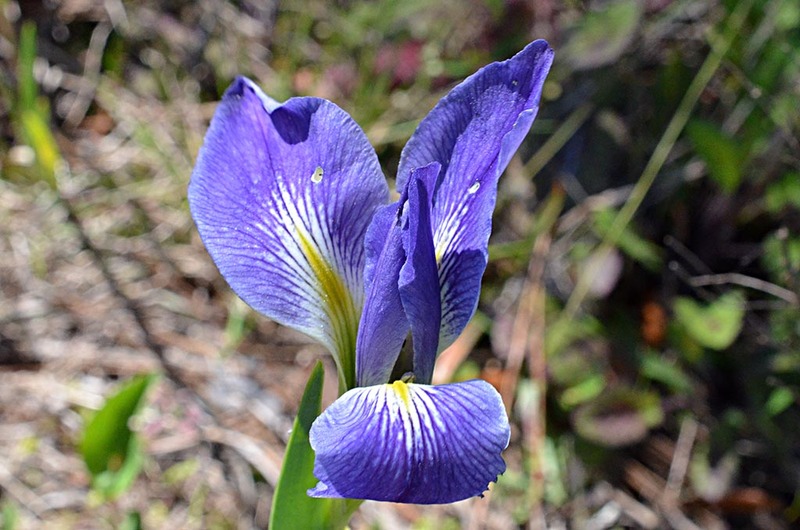 The designation I. hexagona is now reserved for a related, but very rare, iris found in only two counties in Florida and several spots in South Carolina. 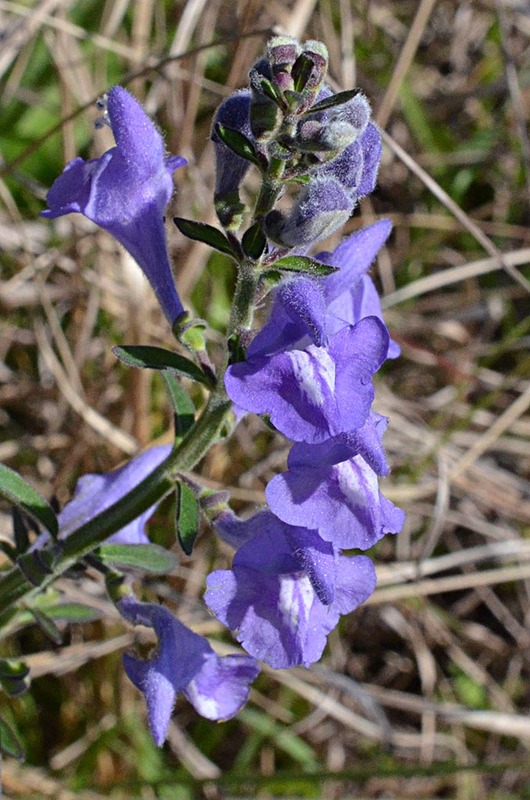 Lyreleaf sage must have been at its peak. 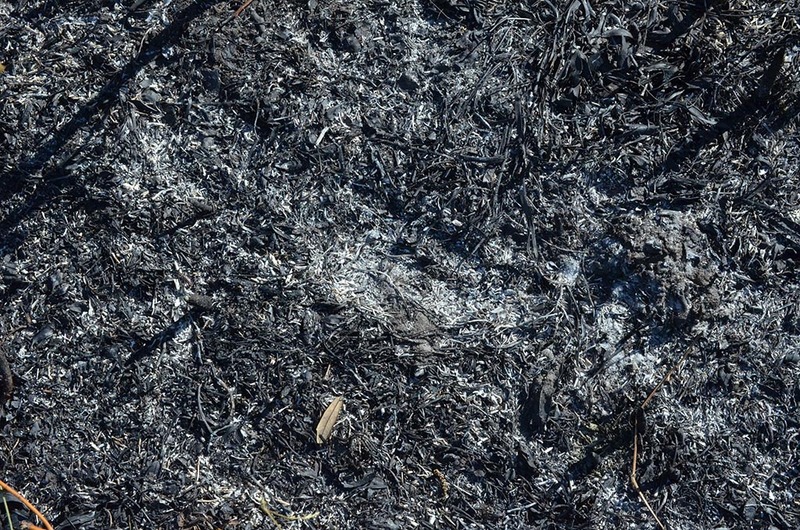 It was everythere! 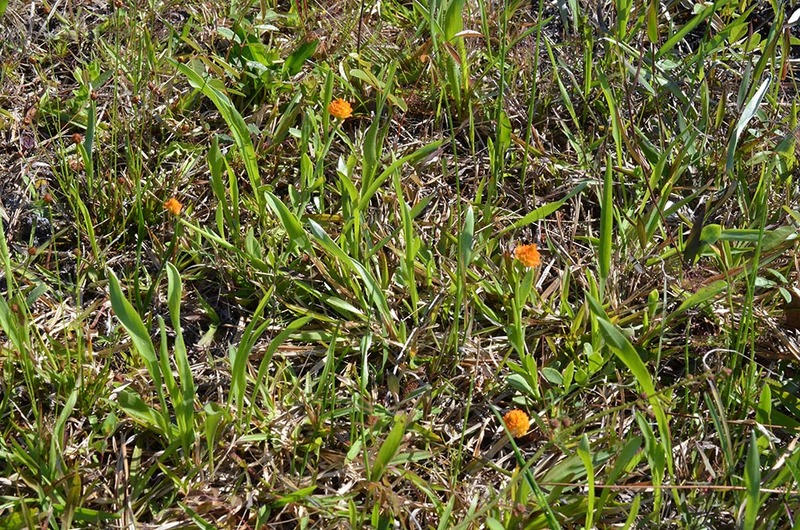 Growing in deep ditches south of Bee Head Red and south of Power Line Rd. 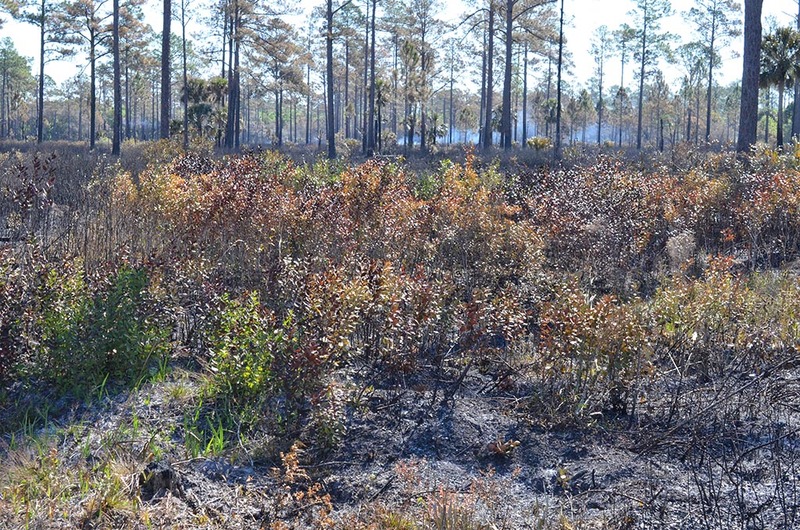 A prescribed burn on the east side of St. Nicholas Rd was still smouldering. 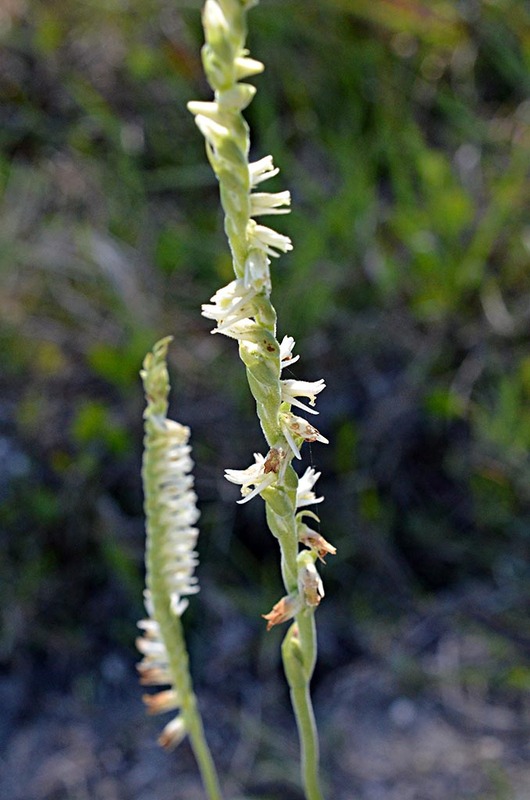 It was a nice surprise to find this beautiful terrestrial orchid, again. 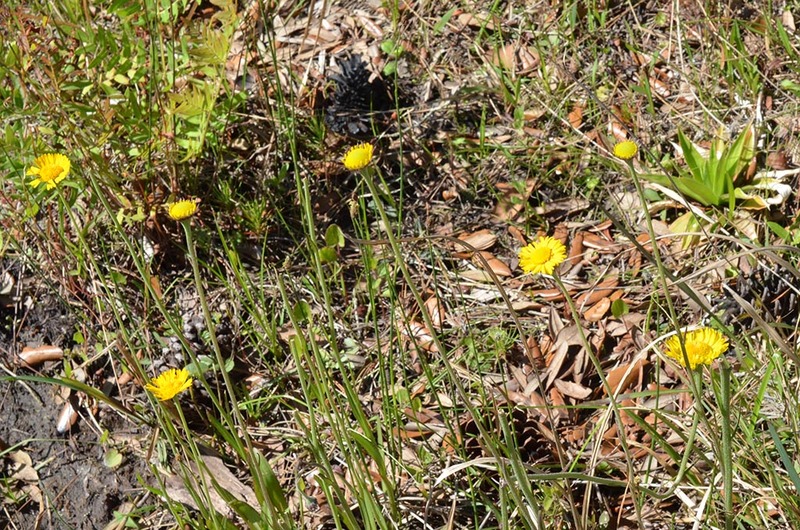 There were about 6 plants growing near each other on the west side of St. Nicholas Rd, about half way between Bee Head Rd and Power Line Rd. 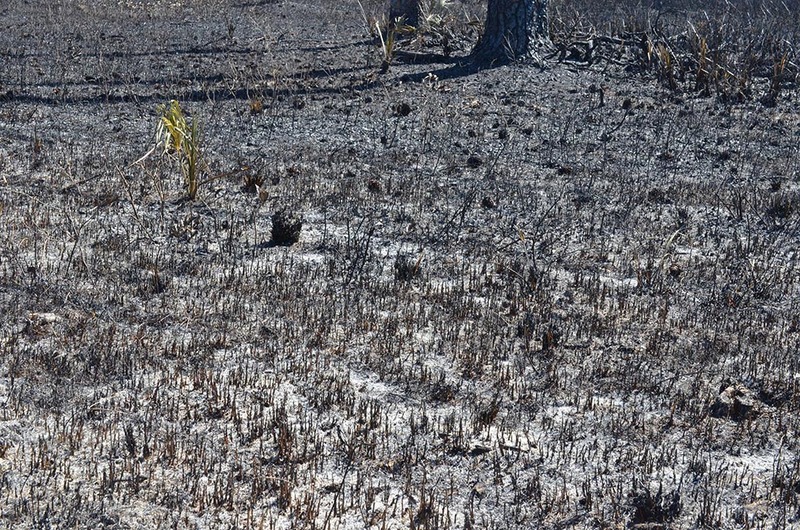 This area had been subjected to a prescribed burn about a month previously. 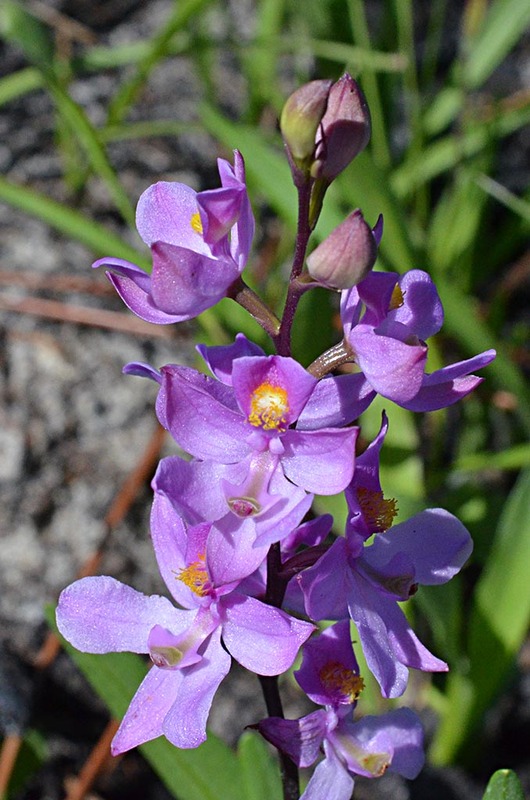 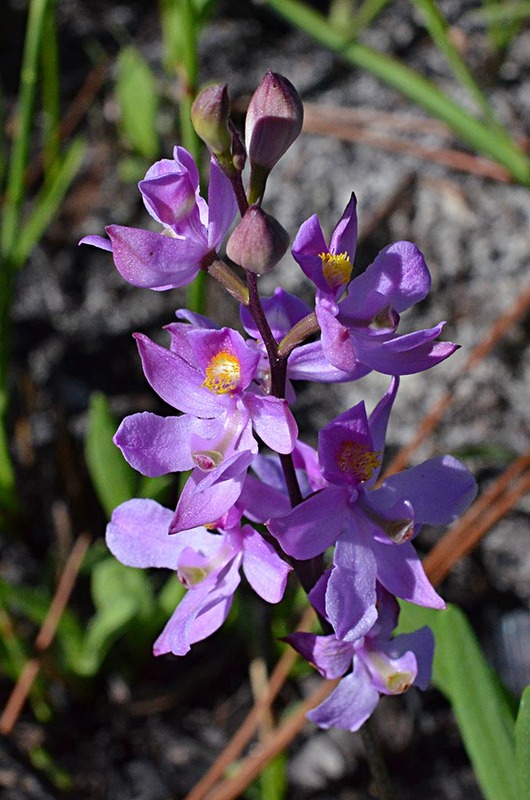 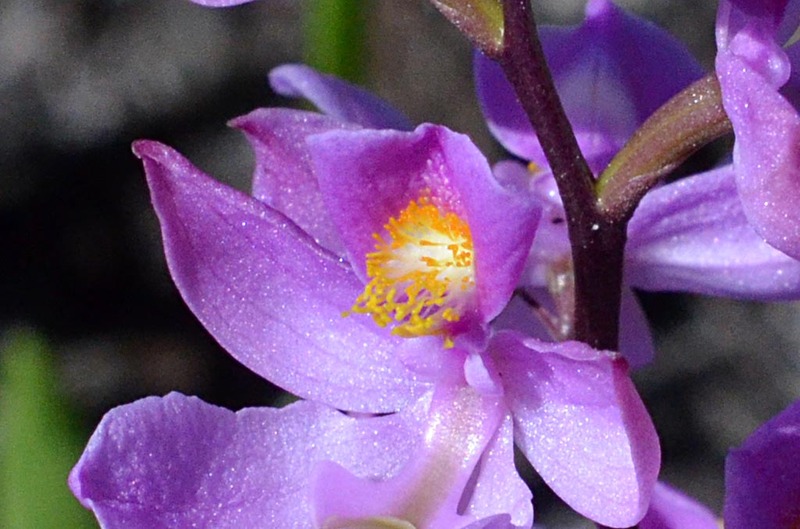 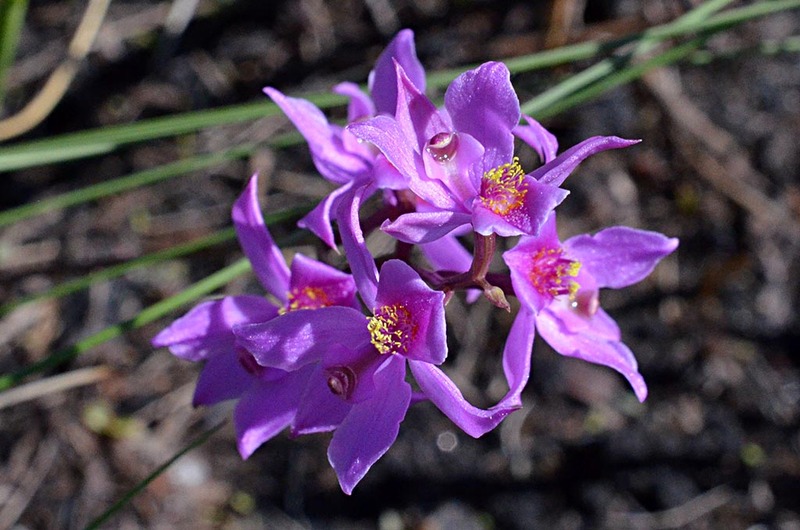 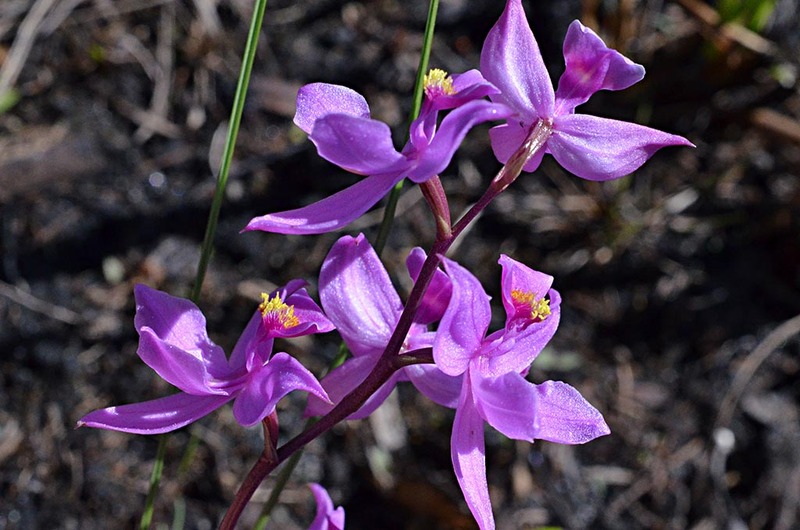 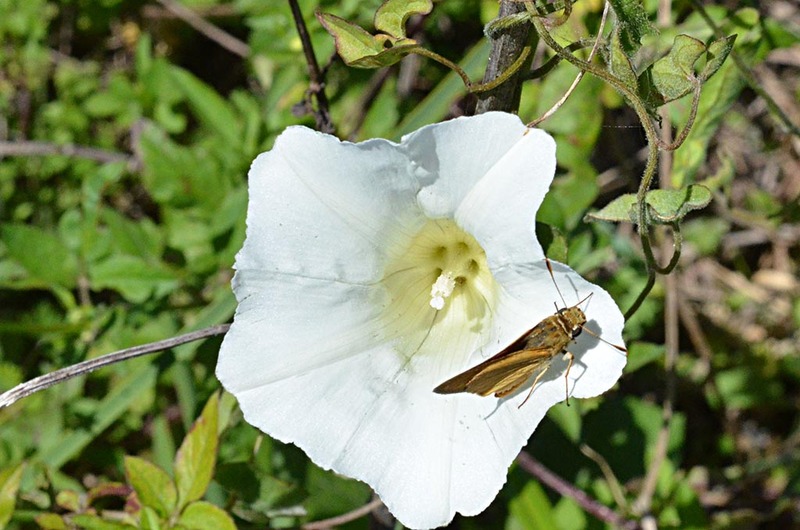 According to Wikipedia, this species of Calopogon has become endangered in Florida and North Carolina. 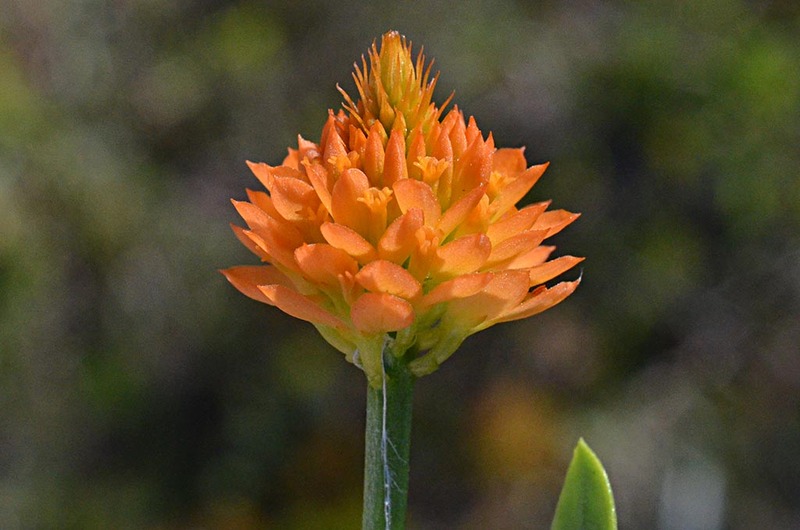 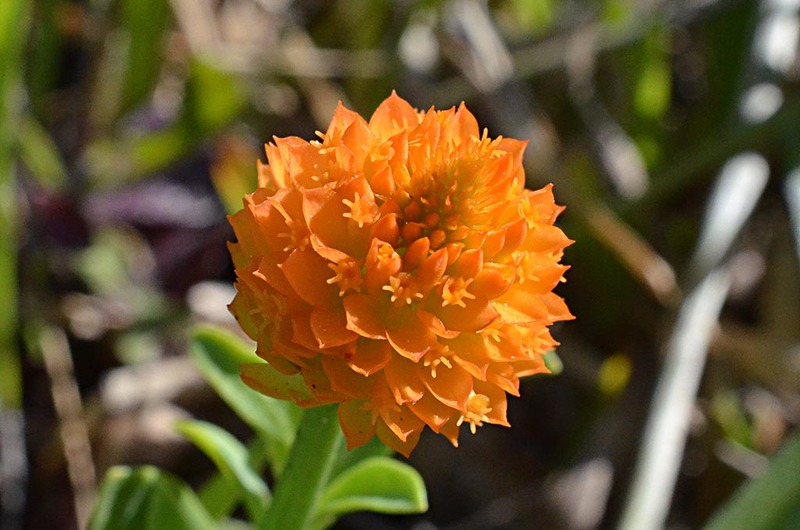 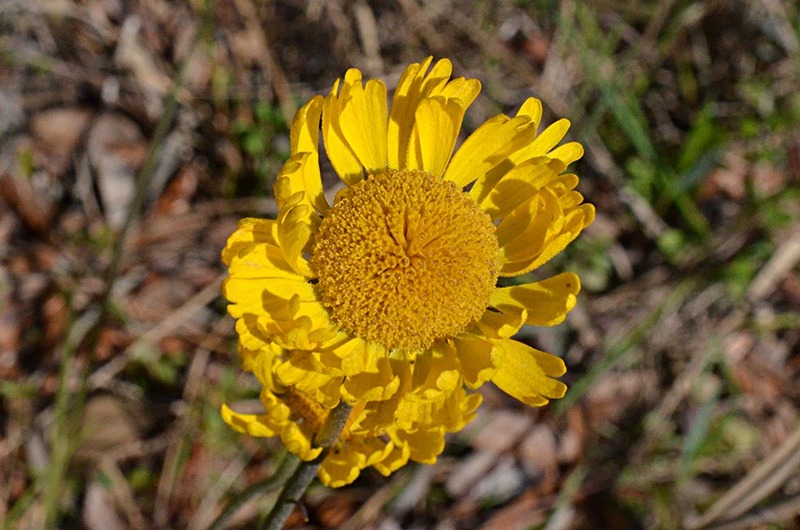 C. multiflorus requires prescribed annual winter fires for its appearance. 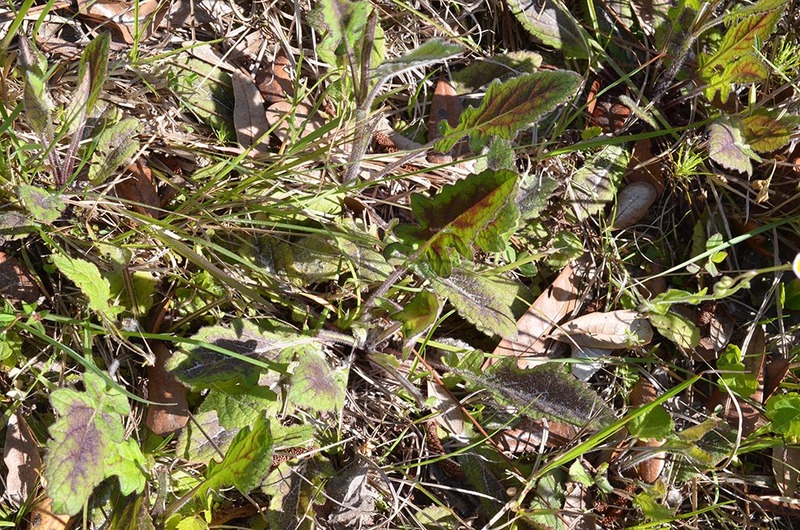 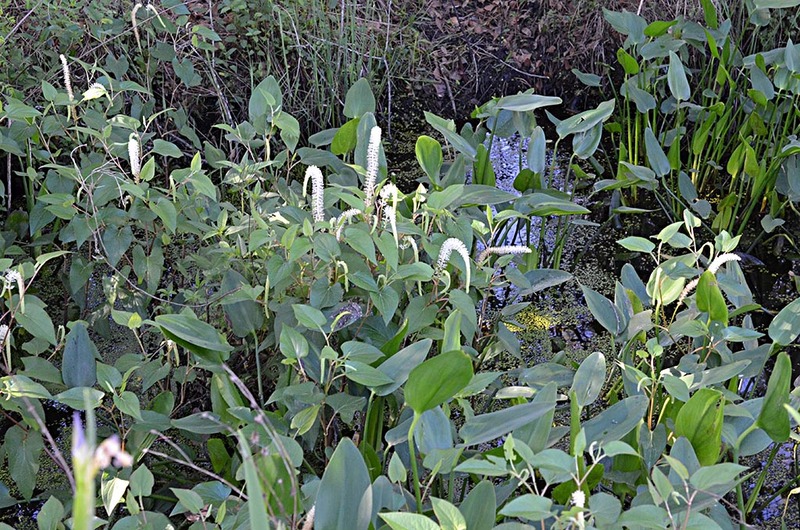 In this way it is typical of many of the understory plants in pine savannas. 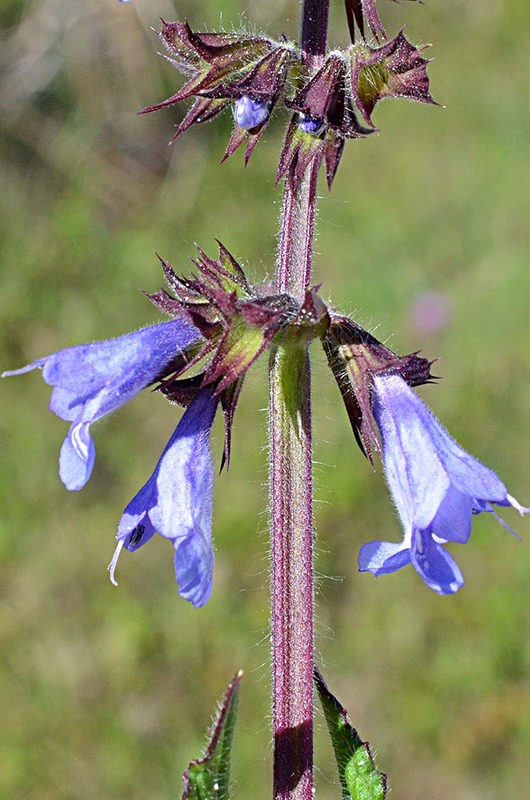 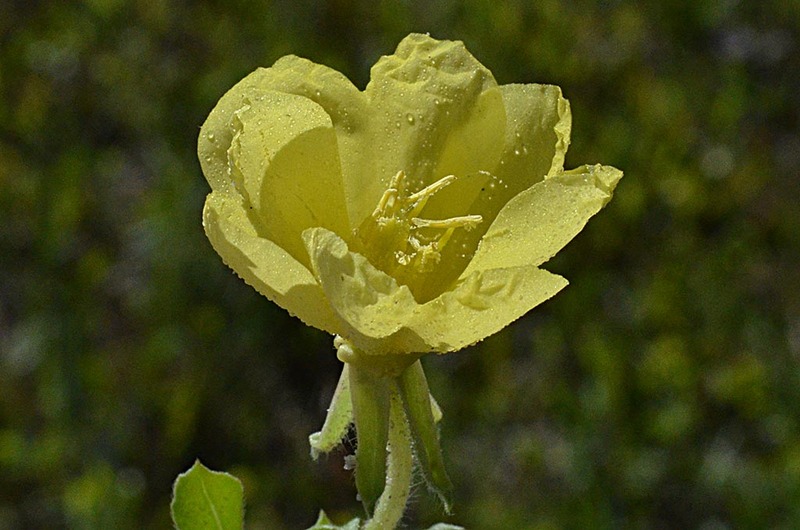 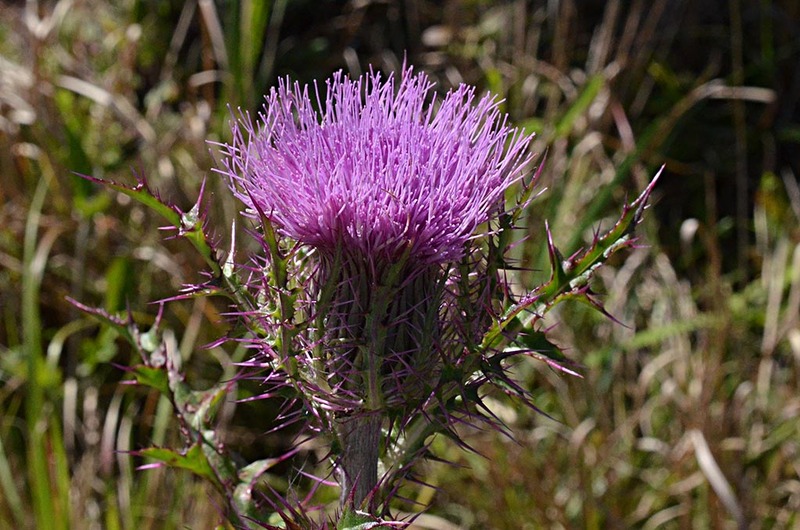 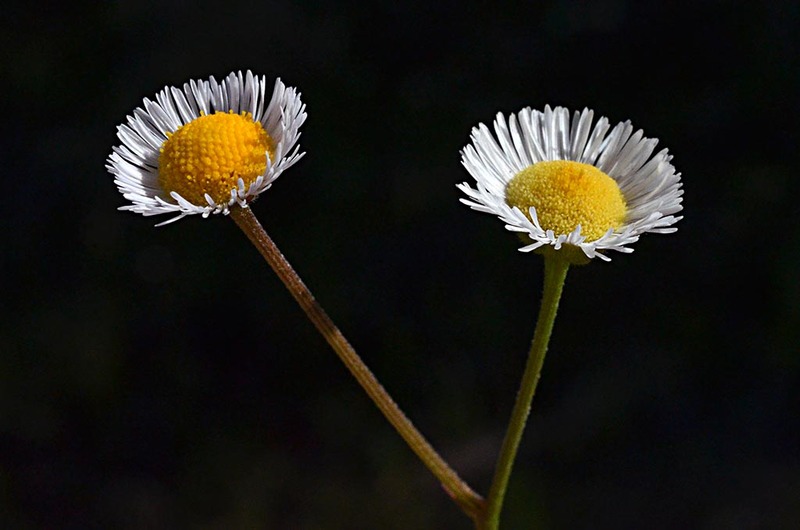 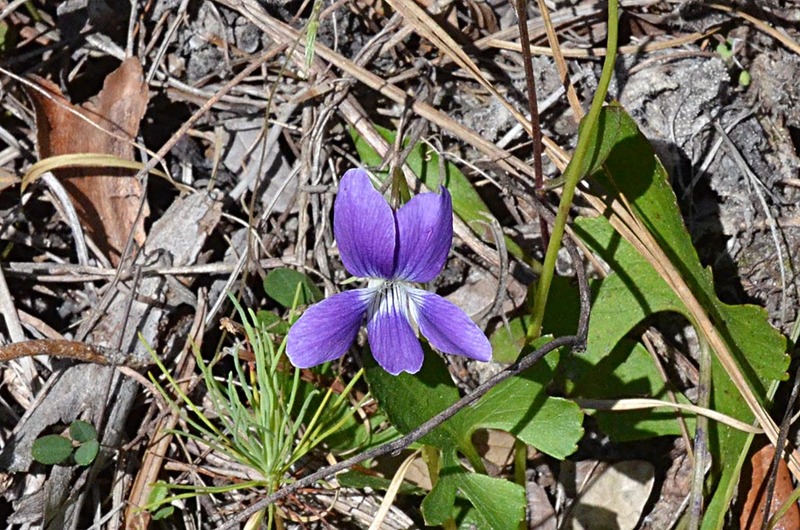 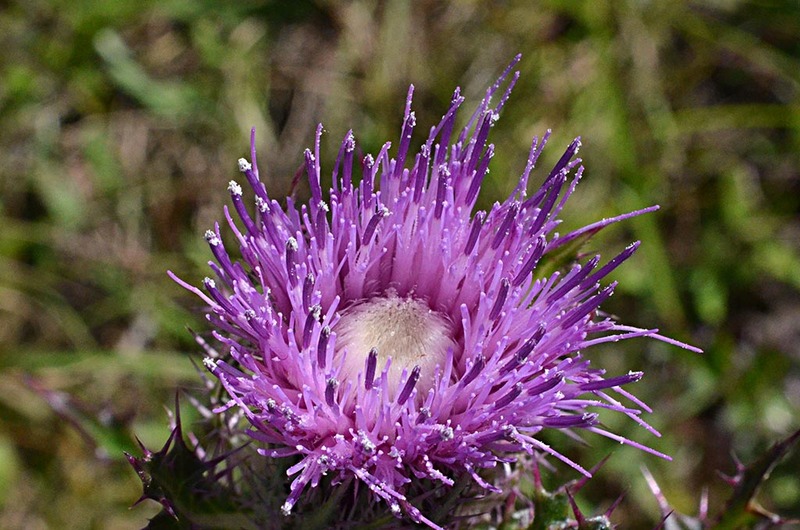 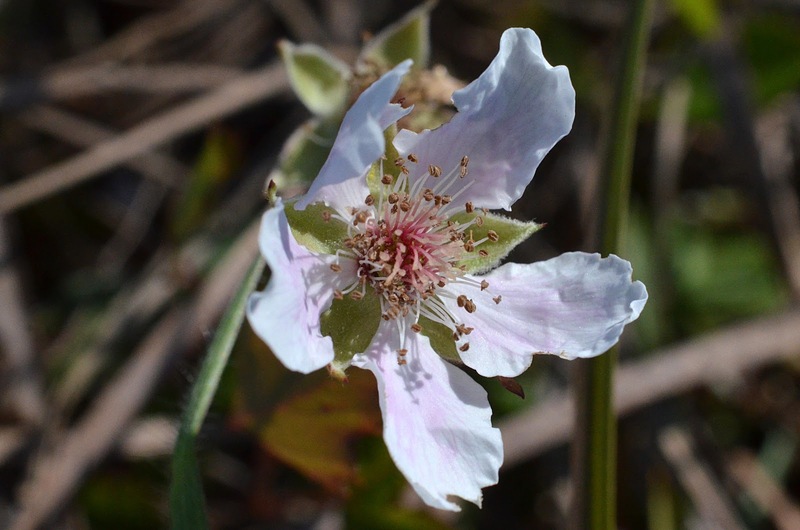 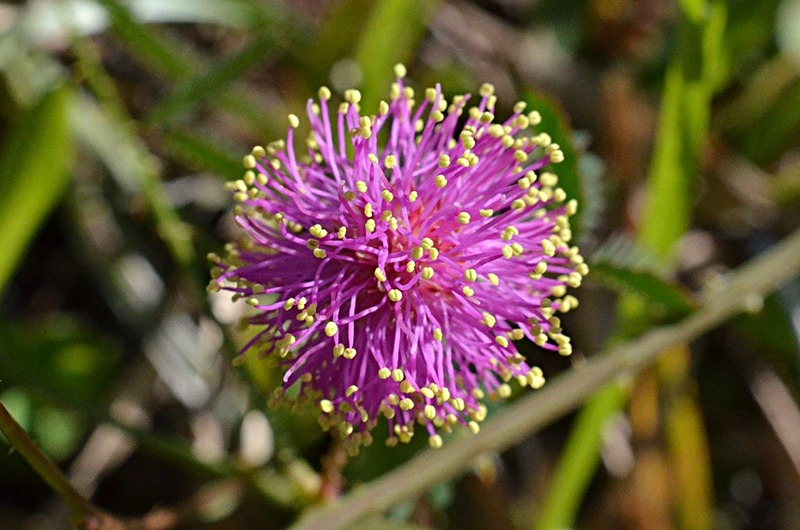 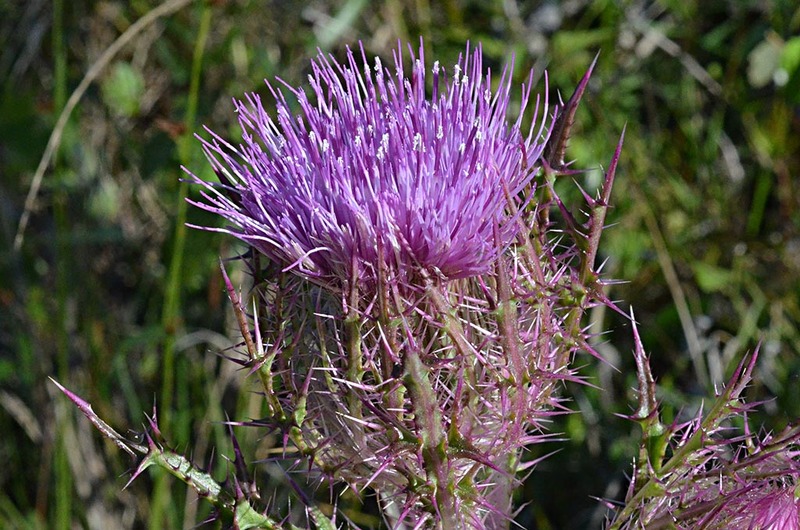 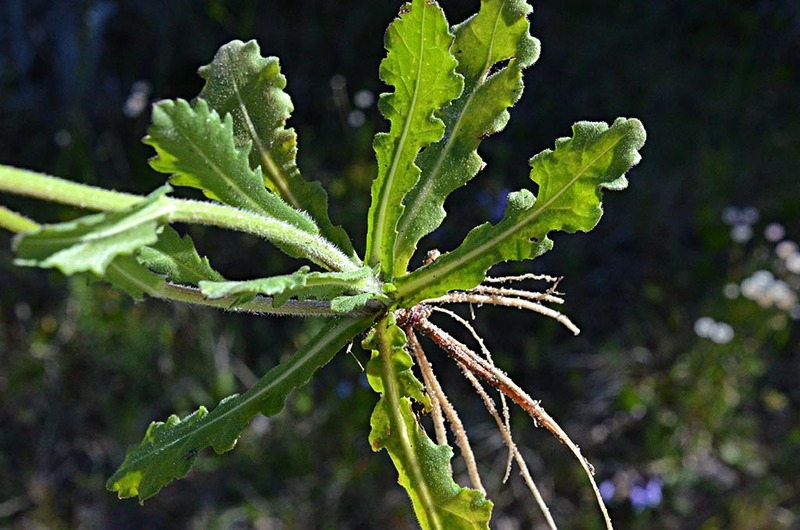 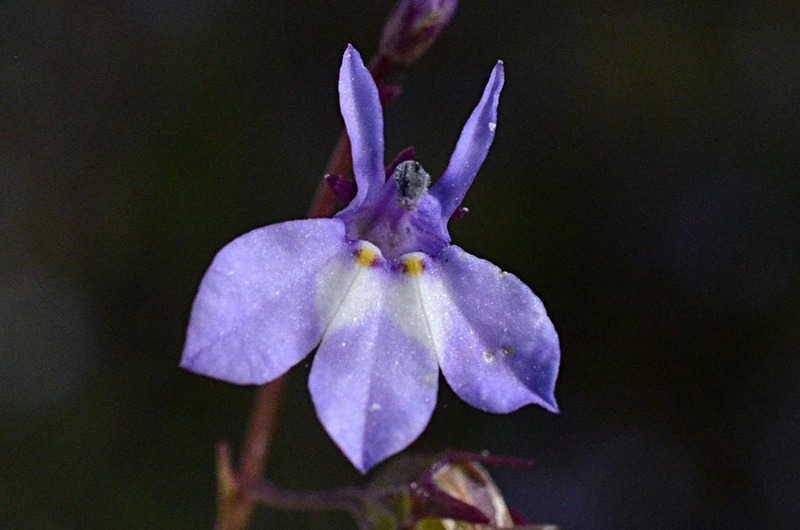 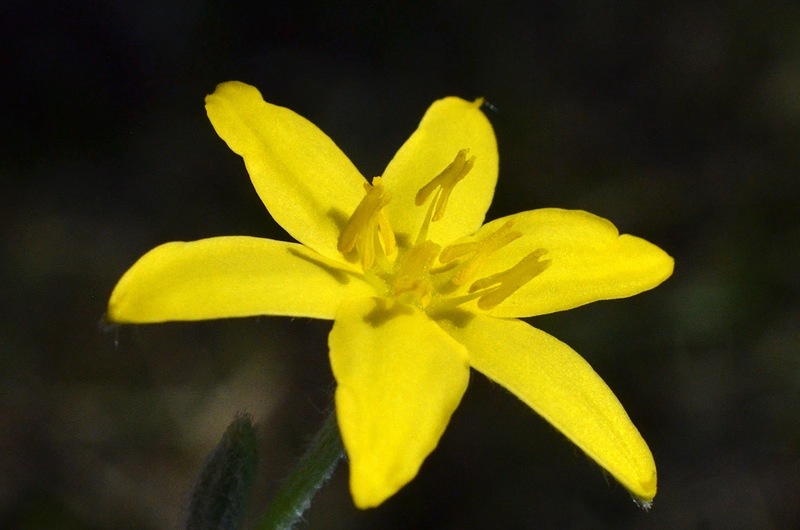 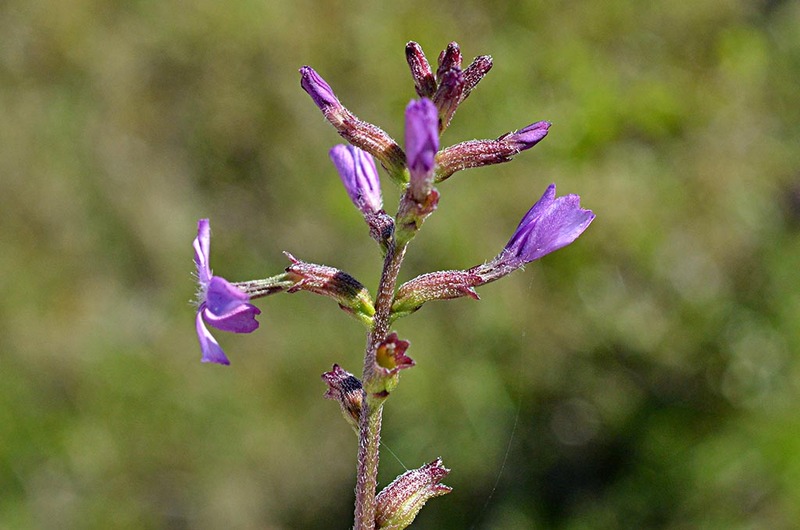 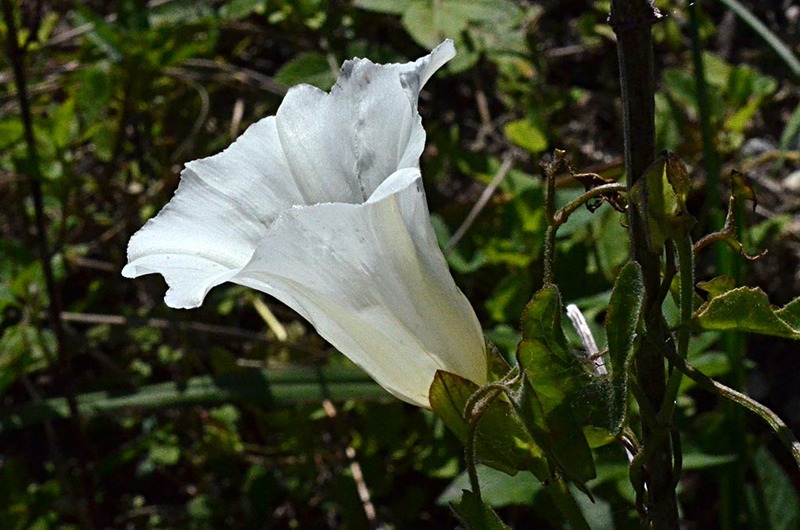 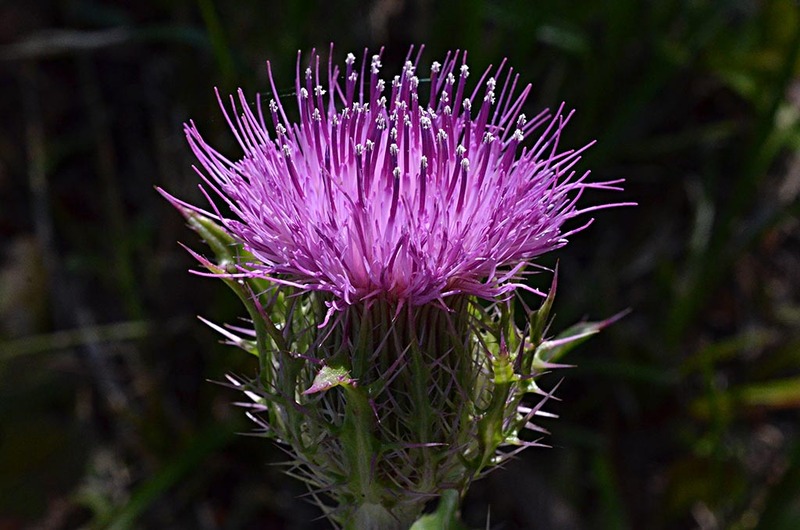 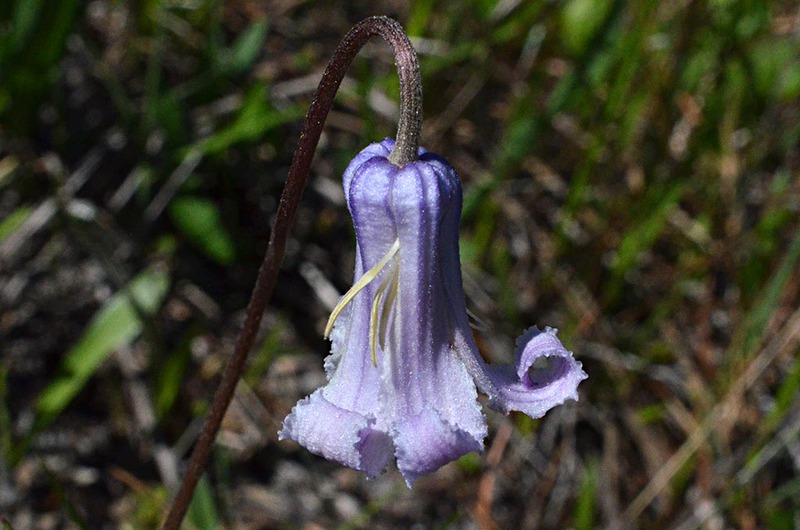 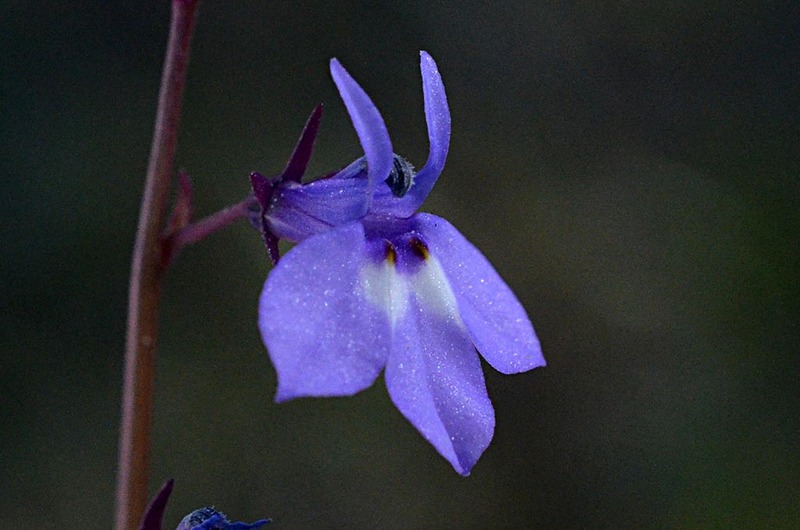 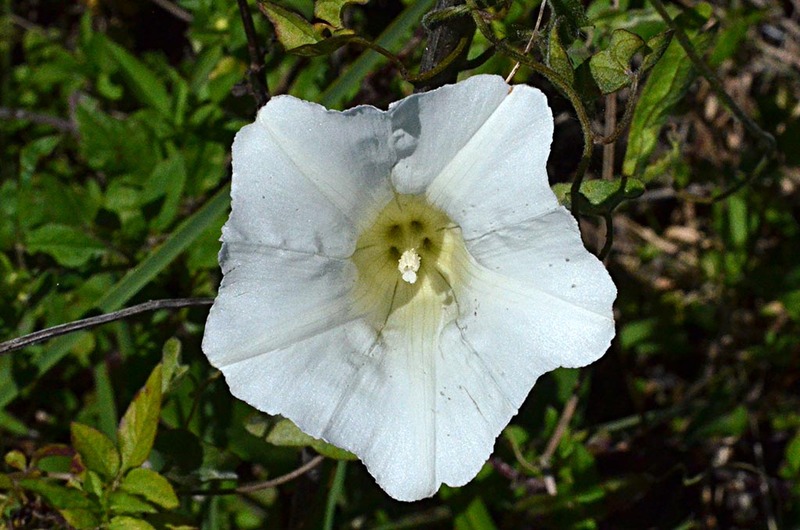 It is known to bloom six to eight weeks after a burn, likely benefiting from the lack of competition with other plants, and the nutrients released during a fire.